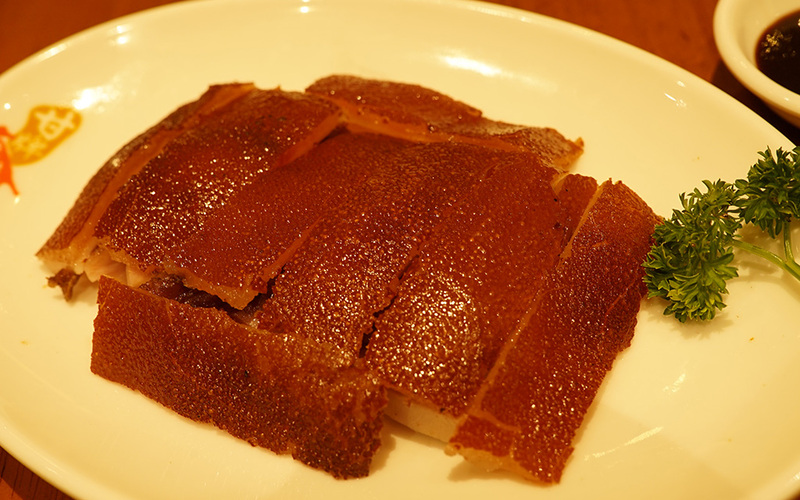 Famous Roast Duck at Michelin-starred Kam’s Roast Hong Kong! Feast on these roasted goodness! 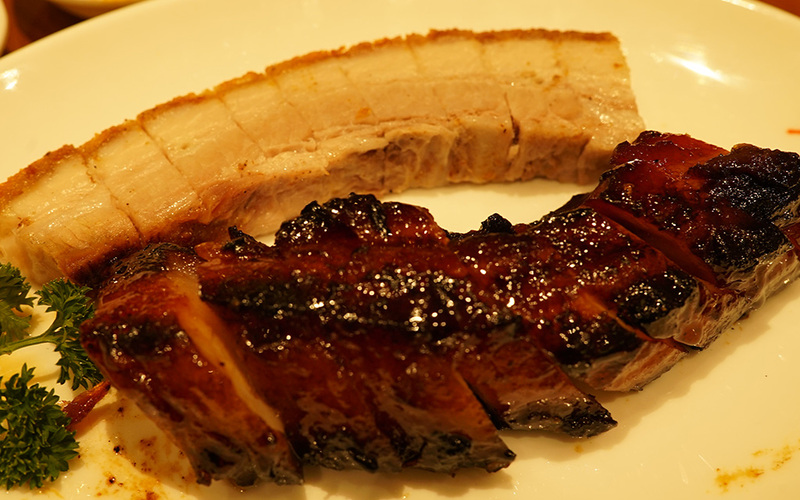 Kam’s Roast was originally founded in Hong Kong by Mr Hardy Kam, grandson of Mr Kam Shui Fai. The restaurant received a Michelin star within its first 6 months of operation and has been going strong since. Read on to see the dishes we tried on our visit! First up, we tried their newly launched cured goose liver and lean pork sausages! 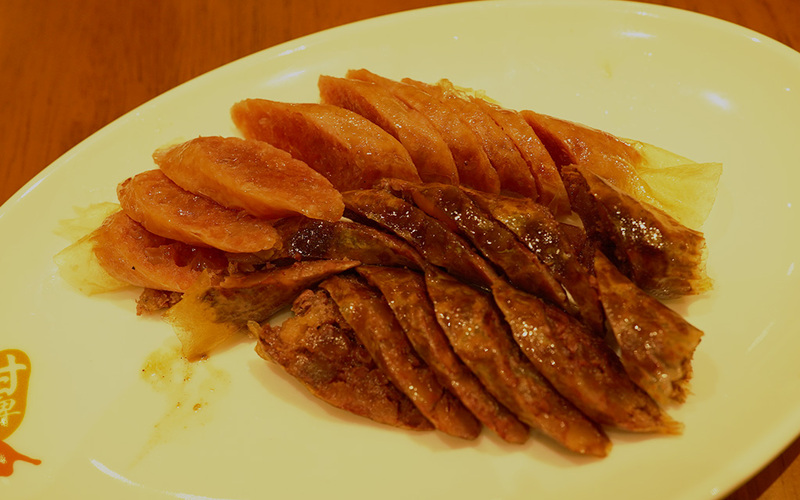 These two items are legacy products at Kam’s Roast Goose in Hong Kong so it’s a must-try here! You can get a single portion of these sausages at $8.80 each or a mix of both for the same price as well. 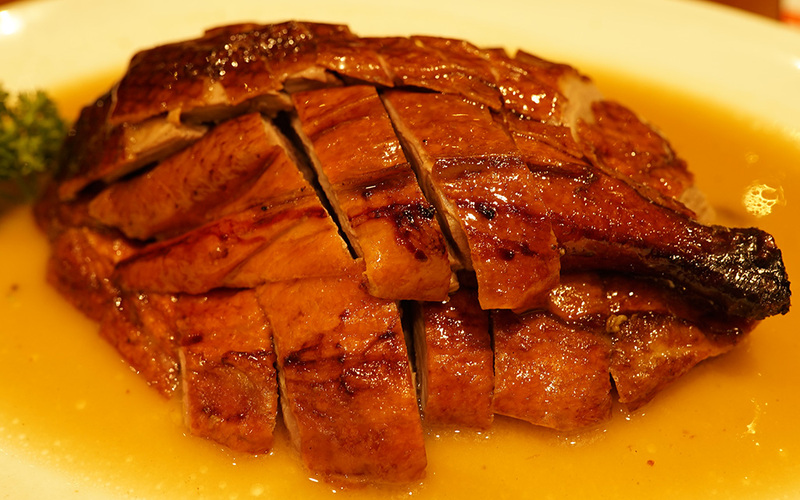 The Roast Duck here is prepared differently, with flavour and moisture in the meat being prioritised, the skin on the duck was not crispy but soft and smooth. The chunks of duck were meaty and flavourful, perfect to pair with some rice or egg noodles. Get yourself half a duck for $29.80 or a whole duck to feed more mouths at $55. Next, we tried the suckling pig ($34.80). Unlike the duck, the skin on this was SO crispy, you could hear the crackling of it from a few tables away. The meat on it was tender and juicy and is definitely a great dish to share with family or friends. The Crispy Roast Pork ($16.80) here really lived up to its name. The skin was super crispy and the fat of the pork melts in your mouth. Eat it together with the mustard provided to really bring out the flavour. The ‘Toro’ Char Siu had to be my favourite dish of all. Using premium pork belly, the meat is seasoned with a secret marinade concocted by Hardy Kam’s father. Each piece of meat has a thick layer of juicy, succulent fat that will make you question every single pork dish you have ever had. 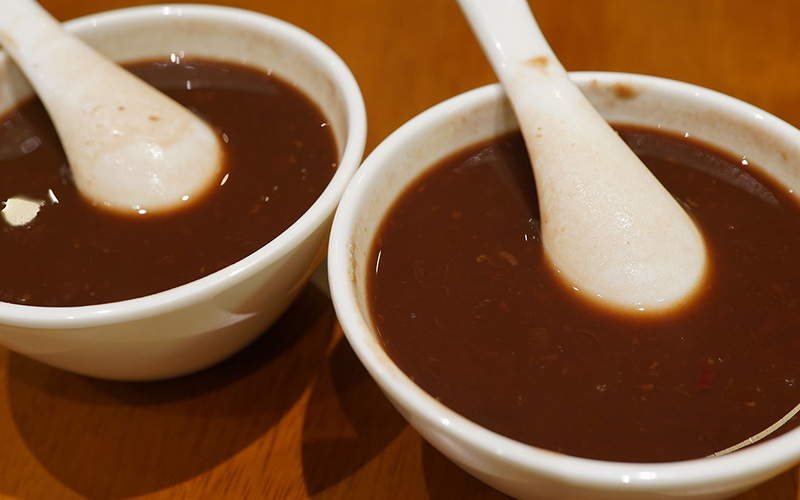 Last but not least, we had the red bean soup brewed with 12-year aged orange peel ($5.80) to end our meal! The taste of the orange peel was strong and was definitely an interesting twist to your usual red bean soup.